Proper dental care is important. Neglecting your teeth can lead to tooth decay, gingivitis, and periodontal disease. Your dental health can also have an impact on your physical health. 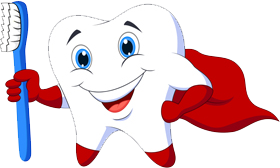 Heart disease, diabetes, and other health conditions can be adversely affected by improper or inadequate dental care. In fact, some of the first signs and symptoms of such diseases can appear in the mouth. That’s why it’s important to schedule oral exams and cleanings every six months. With regular checkups, our general dentist can catch minor problems early to prevent them from becoming major problems. What to expect at your checkup The American Dental Association recommends you see your dentist at least twice each year for a checkup. At your checkup, we will inspect your soft tissues for oral cancer, periodontal disease, and other problems. The dentist will also look at each tooth in your mouth to assess problems like tooth decay or cracks, as well as old dental work. Sometimes old dental work wears out and needs to be replaced. We will be happy to replace metal fillings, inlays, onlays, and crowns with tooth-colored alternatives. By looking for trouble every six months, we can often reduce your potential for large dental problems. For instance, left untreated, a small cavity can grow to destroy an entire tooth and spread to surrounding teeth. A cracked tooth can cause pain or break off and create additional problems. Furthermore, advanced gum disease is the primary cause of tooth loss for American adults, and oral cancer causes more than 7,500 deaths each year. Caught and treated early, these diseases can be controlled. 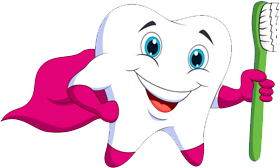 Children as young as two should visit the dentist, and by age four or five, a child should attend regular checkups. Because the face is an important part of a person’s image, self confidence and sometimes success, it’s better to be safe than toothless! Protect your smile and your mouth with a comfortable, custom-molded mouthguard to dramatically reduce the risk of sports-related oral injuries and the severity of concussions. Our dentists can also create special mouthguards or mouth protectors for patients with braces, removable bridges or dentures, a protruding jaw, or a cleft palate. These generic mouthguards are inexpensive and readily available department or sporting goods stores. Unfortunately, because they are not custom-fitted and are secured by closed jaws, they may seem bulky, uncomfortable and make speaking and breathing more difficult. Acrylic, shell liner mouthguards provide a comfortable and secure fit over your natural teeth. Unfortunately, many users report that this mouthguard can harden over time, lose its flexibility and has an unpleasant odor or taste. Thermoplastic mouthguards are another type that can be customized to take on the shape of your bite, simply by heating it in water then biting it. While these do maintain their flexibility, they can also feel bulky. Comfortable, practical, and protective, custom-made mouthguards are the best choice in teeth and mouth protection. Designed specifically for your smile, a dentist or lab technician takes impressions of your teeth then custom-creates a mouthguard to fit your mouth. Before you purchase any mouthguard, talk to your dentist. Special mouthguards or mouth protectors are recommended for patients with braces, removable bridges or dentures, a protruding jaw, or a cleft palate. Our custom-made mouthguards are only $95 and we can create them in a variety of colors (school branded). Many people have deep pits and grooves in their teeth where bacteria and food particles can hide and cause decay. Children with poor brushing habits may also develop decay on hard-to-reach molars. For situations like these, dental sealants offer a means of protecting molar and premolar chewing surfaces from decay. Recognized by the American Dental Association as a key means of cavity prevention, dental sealants are simply a thin plastic film that can be applied to teeth. Dental sealants create an impenetrable physical barrier for small food particles and cavity-causing bacteria, making them highly effective in preventing tooth surface decay and the resulting cavities. Sealants can last up to ten years. Most insurance companies only cover sealant procedures at a minimal level, but the good news is that insurance companies seem to be recognizing this technique’s value as a preventive measure that will help reduce future dental costs and more aggressive treatments. For those cases which do require surgery, a Laser Treatment option is offered which helps promote reattachment of gum tissue to teeth. We prefer to help you maintain optimal oral health so that you never have to worry about gum disease. That’s why we encourage everyone over the age of four to visit the dentist for a professional hygiene appointment twice per year. 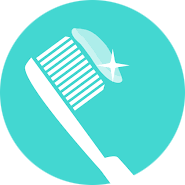 Our gentle hygienists are specially trained to detect, deter, and treat gum disease. They will inspect your gums for periodontal disease, the leading cause of tooth loss for American adults. If we find cause for concern, we may recommend that you change your oral healthcare routine or the products you use at home. We may also suggest a deep cleaning.